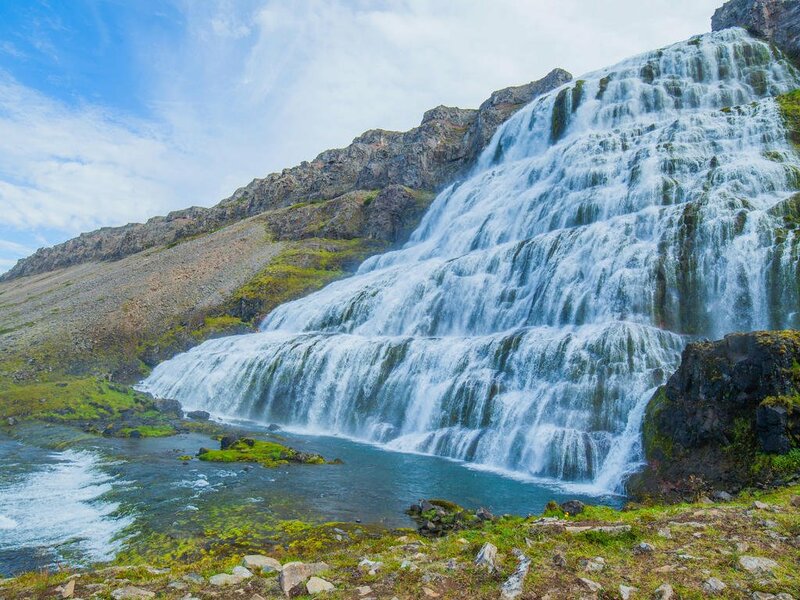 Iceland is full of breathtaking geological phenomena, from geysers and waterfalls to majestic skies. Nowhere else in the world will you see this particular collection of bright colors and vast landscapes. 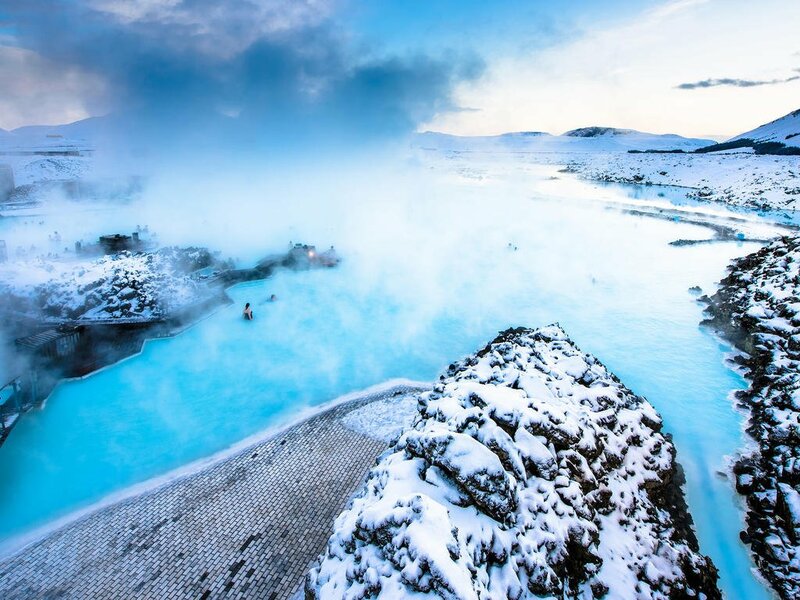 Visit geothermal springs like the legendary Blue Lagoon and marvel at its vibrant blue waters — a result from a rare combination of silica, algae and other minerals in the water. See the surreal Icelandic midnight sun among volcanic surroundings and lava fields. 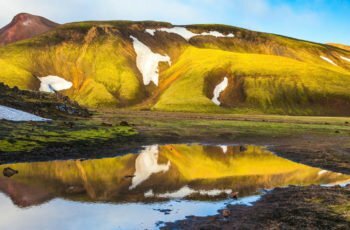 Iceland is no doubt a photographer’s paradise.Visit the Iceland’s highlands where you can hike through a myriad of impressive sights and view jaw-dropping panoramas of untouched land. 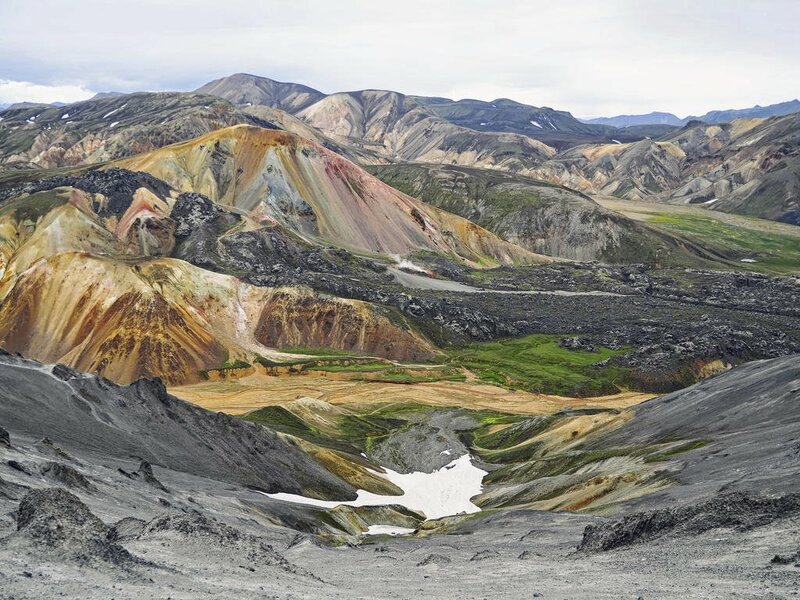 If you hike along Laugavegurinn, you’ll pass through Thorsmork which features mountains of nearly every color you can imagine. You’ll also encounter a variety of crystal clear brooks, hot springs and natural pools. 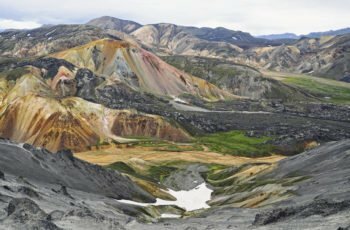 Beautiful revines and wild rivers make this trail a must-see for any hiking enthusiast.One of the things that make Iceland such an intriguing destination are the volcanoes, which sculpted the country itself. The traces the volcanoes left behind continue to fascinate scientists. 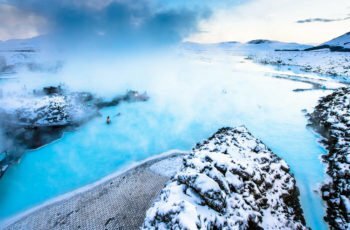 In Iceland, you’ll witness eerie lava fields, tube caves, and black sand beaches, courtesy of ancient lava flows. Visit the world heritage site, Surtsey, where scientists study the unique emergence of plant and animal life on the volcanic island. But, perhaps what Iceland is most recognized for is its legendary glaciers. 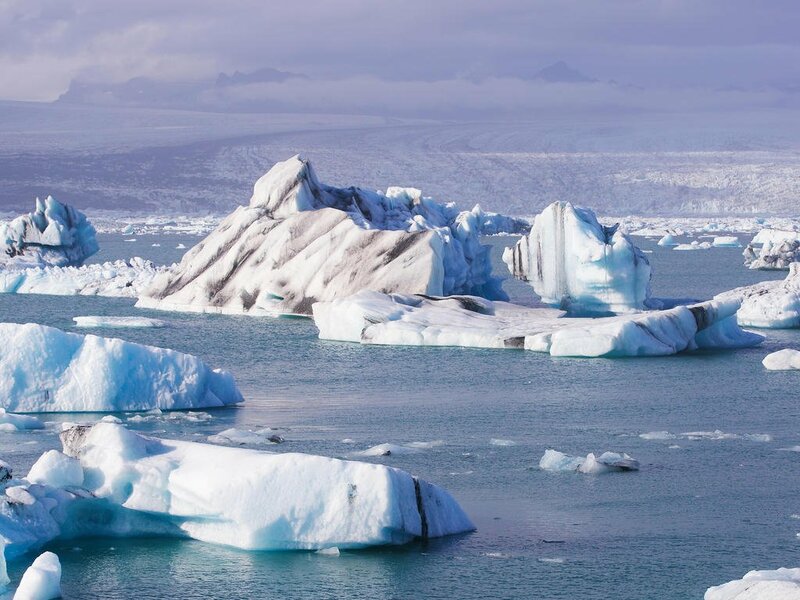 In fact, glaciers cover about 11 percent of the country.From majestic ice formations to lava-formed geological wonders, sightseeing in the Land of Fire and Ice is truly a surreal experience. 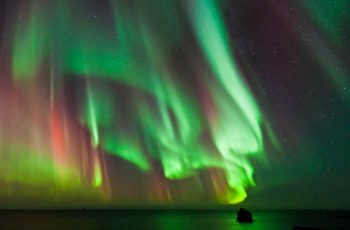 To learn more, check out our in-depth guide to visiting Iceland on our blog. 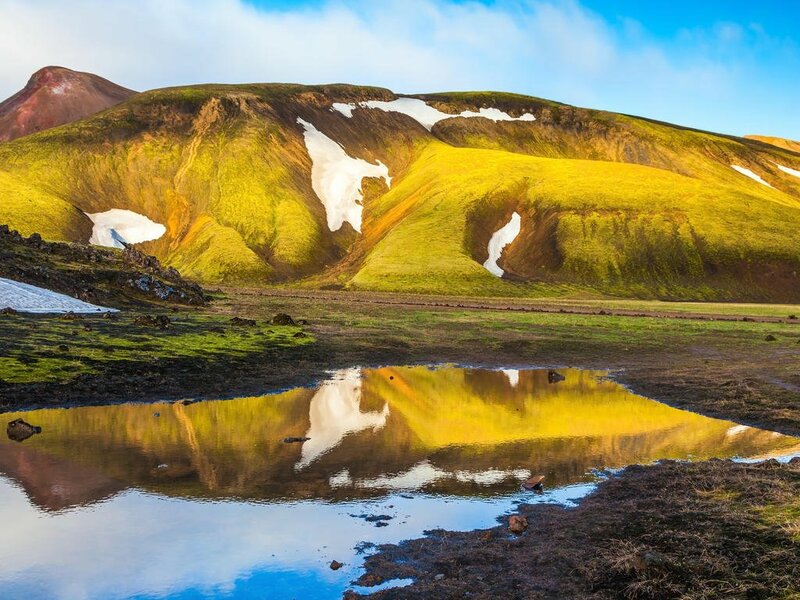 South Iceland is an exquisitely scenic region of ‘The Land of Fire and Ice’. 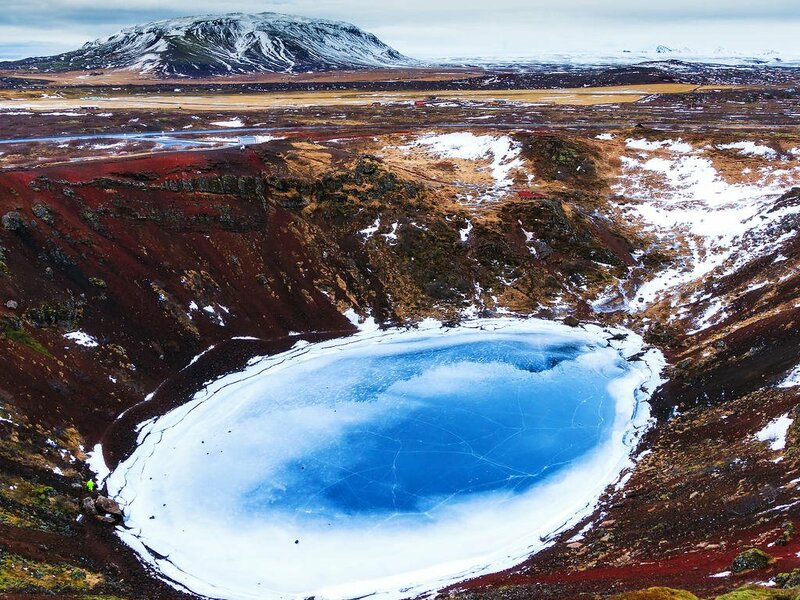 This volcanic paradise boasts breathtaking landscapes, a rich cultural heritage, and picturesque Icelandic villages. 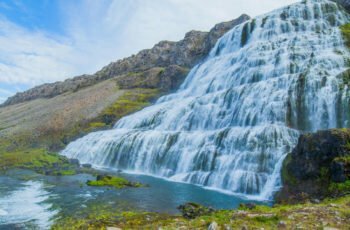 The south of Iceland is home to the country’s most popular natural attractions including numerous volcanoes, hot springs, geysers, waterfalls and glaciers…. Electrical sockets (outlets) in Iceland are one of the two European standard electrical socket types: The "Type C" Europlug and the "Type E" and "Type F" Schuko. If your appliance's plug doesn't match the shape of these sockets, you will need a travel plug adapter in order to plug in. Travel plug adapters simply change the shape of your appliance's plug to match whatever type of socket you need to plug into. If it's crucial to be able to plug in no matter what, bring an adapter for all three types. Electrical sockets (outlets) in Iceland usually supply electricity at between 220 and 240 volts AC. If you're plugging in an appliance that was built for 220-240 volt electrical input, or an appliance that is compatible with multiple voltages, then an adapter is all you need. If your appliance is not compatible with 220-240 electrical output, a voltage converter will be necessary. Foreign currencies can be exchanged in all major banks. Most hotels also provide their guests with exchange services, which may cost more. American Express, Diners Club, MasterCard and Visa credit cards are widely accepted. ATMs are available throughout the country except in outlying remote areas. Travellers cheques are accepted, although mainly in key urban areas. To avoid additional exchange rate charges, travellers are advised to take traveller's cheques in US Dollars. Icelandic cuisine in general is based on fish and lamb, and owes much to Scandinavian and European influences. As New Nordic cuisine has risen in prominence in recent years, so too has the profile of Iceland’s food: London restaurant Texture gained Icelandic chef Agnar Sverrisson the country’s first Michelin star, reflecting the sophistication of some Icelandic menus. Eating out can be sublime, expensive or just plain weird, for a number of reasons. One is that traditional Icelandic food can be rather strange. It is not eaten on a daily basis by its inhabitants, rather saved for special celebratory events, and can include putrefied rotten shark, boiled sheep’s head, dried fish slathered in butter and pickled rams’ testicles. It’s all worth a try, if only for the brag factor, and should be taken with a shot of Brennivin, the nation’s vodka-like firewater. Other traditional delicacies include seabirds’ eggs and smoked puffin, which may be eaten at any time of the year. Fresh fish can be had all year round – Icelanders eat mostly haddock, cod, plaice, halibut, herring and shrimp, but Icelandic salmon, lobster and Arctic char are also very good. The lamb, which is reared locally, is free range, organic and extremely tasty. Make sure you try it at least once during your stay in Iceland. Vegetarians are catered for but be aware that much of the greenery is imported into the country – it doesn’t grow well here. Home-grown vegetables are typically reared in greenhouses heated by the natural steam from geysers. It’s another reason why food can be more expensive than you would expect. Bars have table and counter service, and will serve coffee (which is very popular) as well as alcohol. Alcohol is subject to state taxes and can be very expensive. The best advice is to buy local rather than international brands, which will have been shipped in, therefore adding to the cost. In terms of street food, Iceland’s pylsur (hot dogs) have to be tried. Stalls on the street sell them with optional accompaniments of onions, mustard and tomato ketchup. 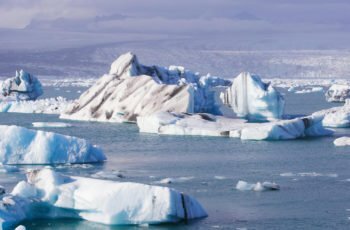 Iceland's climate is tempered by the Gulf Stream. Summers are mild and winters rather cold. 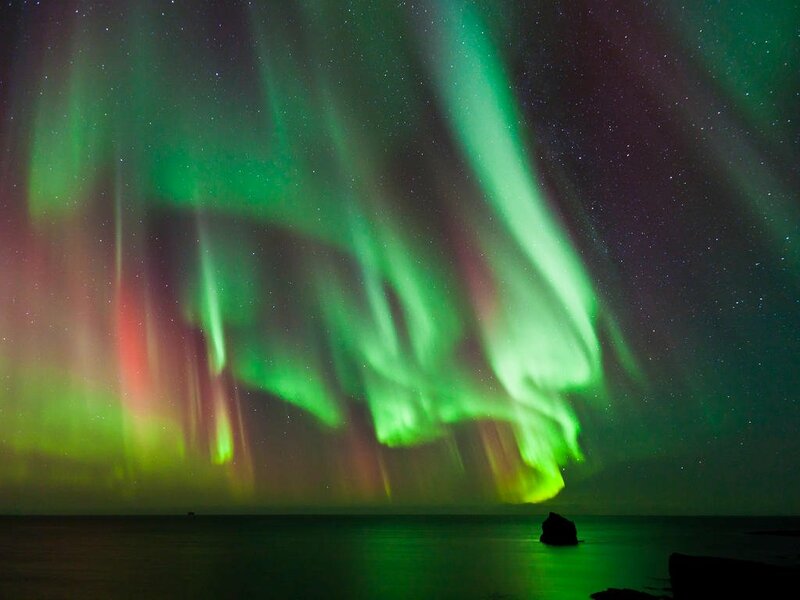 The colourful Aurora Borealis (Northern Lights) are best seen between November and February. In June and July, there are nearly 24 hours of daylight in Reykjavík, while in the northern part of the country the sun barely sets at all. The average January daytime temperature is 0°C (32°F) and in July is 11°C (52°F). Temperatures in the northern part of the island commonly reach around −25 to −30 °C (−13 to −22 °F) in the winter months. The highest annual temperatures tend to be in the south. In the south, summer averages reach 10-13°C (50 – 55 F), but it's not unusual to see temperatures of 20-25 °C (68 – 77 °F) on a warm day. Air Iceland (www.airiceland.is) and Eagle Air (www.eagleair.is) run domestic services to all major airports within Iceland from Reykjavík’s city airport, linking up with air or bus connections in over 40 towns. They also fly to Greenland and the Faroe Islands. 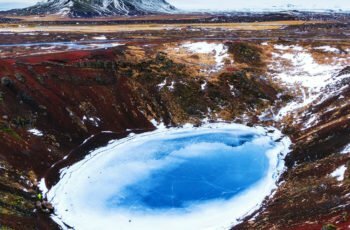 If you’re in Iceland for a short amount of time, flying can be a great way to see the different areas of the country and it doesn’t have to be expensive. You can take a bus one way and fly the other; this mode of transport also allows you to see the country by air, which can be singularly dramatic. Both internal airlines offer day tours of the country as well as day trips, guided tours and scheduled flights. You need a passport to travel to Greenland or the Faroe Islands from Iceland. 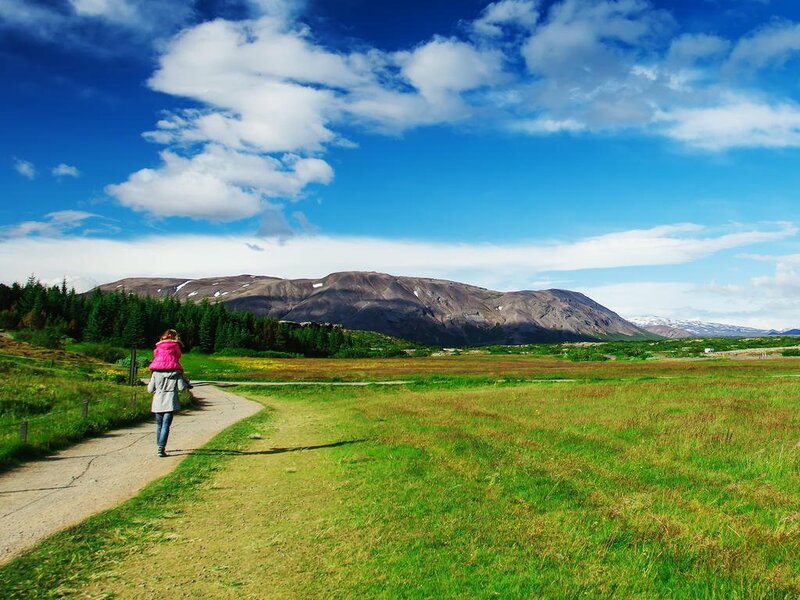 Car hire services are available from Reykjavík, Akureyri and many other towns. Speed limits are 50kph (31mph) in urban areas, while outside towns they are 90kph (56mph) on paved roads and 80kph (50mph) on gravel roads. Driving under the influence of alcohol is prohibited. It is obligatory to use headlights at all times of the day and night, and to wear seat belts, both in the front and back seats. An International Driving Permit is recommended, although it is not legally required. A temporary driving licence is available from local authorities on presentation of a valid UK driving licence. Vehicles are driven on the right side of the road. 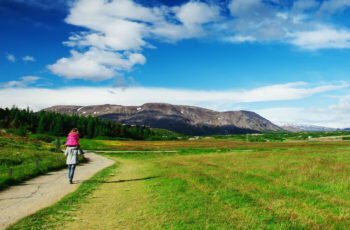 Remote areas of Iceland have poor mobile and GPS reception; it is always advisable to tell someone where you are going and when you will return and to take a map. Some roads receive few passersby so you should be prepared in the event of an emergency. Costs for breakdown recovery can be high. Check details thoroughly with your car hire company. Changing weather conditions can make driving in Iceland like nowhere else in the world. Be prepared and take all reasonable precautions. A major road, the Route One, which links all the main towns and runs in a circular route around the island, rings Iceland. Outside Reykjavík, roads are often quiet and empty; sheep and horses can be hazardous, as can weather conditions, but driving itself is usually relaxed. There are roads serving all settlements, but outside major settlements, they can be gravel rather than tarred. Every year, lesser-used roads through the central highlands of the country are re-marked by the first vehicles to drive the route. Most mountain roads are only open in summer, and some of them can only be used by 4-wheel-drive vehicles. 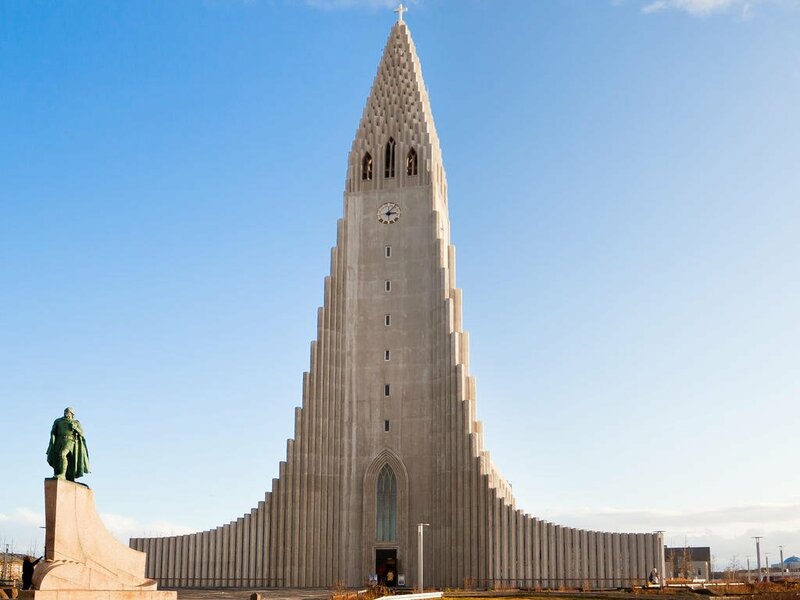 Taxi services are available from all hotels and airports and downtown areas of Reykjavík and Akureyri. 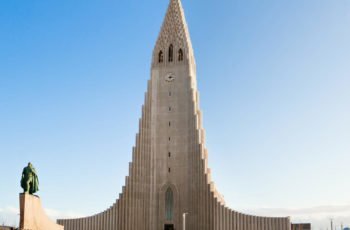 Iceland has some appeal to cyclists; the quiet roads and scenery have made it popular with touring European cyclists and several cycle tour options are available. Cycle hire is available in Reykjavík by the day as well as for longer-term rental. The BSI bus station in Reykjavík is the hub for buses in the country. Routes are available to take you everywhere (they are much more frequent in the summer than the winter) including tourist packages, flight and bus links and scheduled routes. Reservations are not always necessary and you can buy tickets from the driver. Check BSI (www.bsi.is/index_en.html) for bus schedules and routes. Most of Iceland’s cities are easy to drive round and easier to walk around. Parking is usually easy and there is little traffic. There are ferry links to the Westman Islands off the southwest coast served by Herjolfur ferries (www.herjolfur.is). Sæfari (www.landflutningar.is/saefari) offer scheduled trips from Grimsey Island in the Arctic Circle to the north of Iceland, whilst Seatours (www.seatours.is) offer journeys around the Westfjords from Stikkisholmur on the Snaefellsjokull peninsula. Lightweights in warmer months, with extra woollens for walking and the cooler evenings. Medium- to heavyweights are advised in winter. Waterproofing is recommended throughout the year. Umbrellas are not recommended because rain is very often accompanied by wind. Iceland is safe in general. We recommend normal precautions be taken as you would for any city in the world. Be aware of your surroundings and stay in well-lit areas. Don’t flash wealth. If you have items of sentimental value, leave it at home. Visitors should avoid all political gatherings and demonstrations. Passports must be valid for at least 3 months beyond the intended departure date. Please ensure you have at least two blank visa pages (not endorsement pages) in your passport. The Iceland emergency number for services such as police, fire and ambulance is 112. Iceland is on UTC/GMT time and is 5 hours ahead of USA Eastern Time Zone. In general, it's not common to tip in Iceland. Certainly, not as common as in other countries. The main reason is that many bills already have the gratuity or service charge added into the total. Another reason is that most workers make decent wages. Even though tipping in Iceland may not be expected, it is still always appreciated mostly in restaurant settings. In Iceland, your restaurant bill will probably already include a service charge, so you don't need to tip. If there isn't a service charge, then a 10% gratuity is perfectly fine. It is not customary to tip hotel staff in Iceland, whether it is the maid or the bellman. Their services are included in your bill and nothing more is expected from you. However, if you did want to leave a small tip for your maid, it would certainly be appreciated. The same will be true for other services around the hotel: e.g. for bar staff and waiting staff in the hotel restaurants. Taxi drivers do not expect tips in Iceland. The price of the ride will cover any service charge. However, if there was heavy traffic (which is unlikely throughout most parts of Iceland) or the taxi driver was especially helpful you should feel free to tip them. Another option is to round up the price to the nearest even dollar.